Up and Above restaurant at The Okura Prestige Bangkok welcomes the ‘Year of the Monkey’ with a Chinese New Year celebration brunch. This specially extended brunch, from 12 noon to 4:00 pm, features a fantastic selection of traditional dishes including sautéed foie gras, Szechwan-style braised prawns, Chinese noodles, Peking suckling pig, Chinese roasted duck, red cupcakes and jasmine tea crème brulée.According to Chinese astrology, those born in the Year of the Monkey are ‘inherently clever and intellectual, forever playful and the masters of practical jokes’. 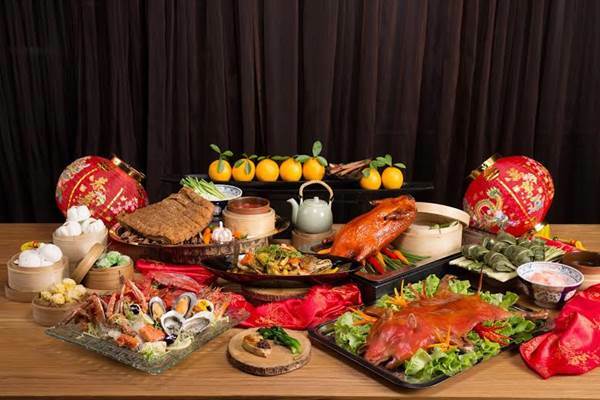 Chinese New Year brunch is priced at Baht 2,600++ per person with soft drink. Choose the brunch with free flow of selected wines, local beers and cocktails and pay Baht 3,600++ per person.